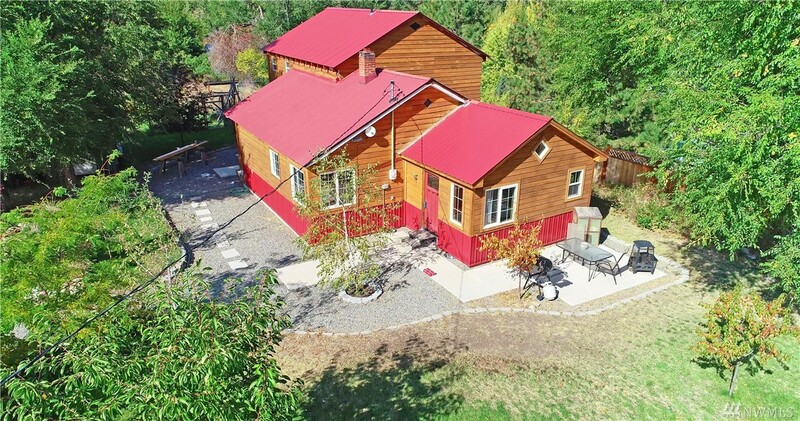 Fabulous Views Await You From This Spacious Twisp River Contemporary. 10 Acres, Room To Roam & Close To Town! Tasteful Floor Plan Features Chefs Kitchen, Main Floor Master Suite, Old Growth Heartwood Pine Floors, Custom Cabinetry. Upper Level W/ Full Bath, 2 Beds + Flex Space. 3 Stall Barn, Heated Tack Room, Fenced Pasture + Irrigation Rights. Separate Studio Apt, 2 Car Garage & Shop. Established Fruit Trees, Landscaping & Garden Space. Ride Or Hike Off Your Property To Dnr Land! Ideal Location!